Providing metal curving, ring rolling, angle bending and section curving for a huge variety of industries. We provide metal curving for many different industries. Whatever background you’re from – if you’ve got a piece of metal that needs curving, it’s very likely that our skilled team will have the capacity to do it. Some of the industries we provide specialised section curving services to include agriculture, transport and infrastructure. Need someone to carry out angle curving, flat bar rolling or channel bending for a large-scale agricultural project? 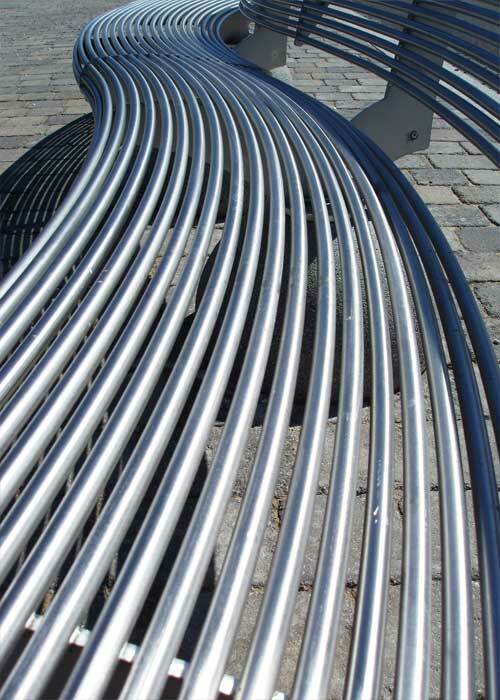 Our experienced metal curving technicians have the answers. We’re used to working on huge agricultural items like water storage tanks and grain storage silos, and have the particular skills needed to curve metal sections to the right specifications. Quality is hugely important to us – so you can be sure any curved metal sections you receive from our workshop won’t be warped, rippled or scratched. Bus chassis, livestock transportation trailers and railway lines make up much of our business. We love the challenges involved in bending metal to specific transport specifications, and we pride ourselves in always delivering quality work to our valued transport customers. The sizes and scales involved in section curving for transport make it a very specific activity that requires a high level of skill and accuracy. Luckily, the team at Advanced Metal Curving will deliver – every time. Each person in Australia relies on the curved metal components within our infrastructure – whether they realise it or not. Curved metal is everywhere, including within bus shelters, road signs, bridges, airports and more. Here at AMC, we understand that metal must be curved to the absolute highest standards to be used within infrastructure. That’s why so many companies choose us. If you have a metal curving project that needs to be completed quickly, reliably, and within budget, call us now on 07 3271 2225 to see how we can help. We love talking to our customers, so pick up the phone today and tell us what you’re looking for!